Over the last 3+ years, I have thoroughly enjoyed being able to organize and clarify some of my thoughts in writing, and then being able to share those thoughts with you. It has helped me to grow even more in my own leadership, and I hope it has likewise been helpful for you. Along the way, I was also able to self publish a simple little book on purpose, called Finding Purpose at the Intersection of Passion, Ability, and Opportunity. I now have a second book written, one that specifically addresses effective Christian leadership based off of a series of posts I did on leadership lessons from the life of Ezra, that I hope may one day be published (we’ll see if a publisher is ever interested; it may just have been something that was written for my own benefit). Regardless, I do know that I am a better leader today than I was three years ago. During that time of transition, as I was seeking the best way to care for my wife, God worked clearly in my life to move me into a head of school position at a small Christian school Texas, one where my wife and I are both well cared for and loved. I believe I am now in a place where I can serve God well, lead with excellence, and make a difference in the lives of people, while at the same time being able to walk life’s journey together with Nora in a way that gives us both peace and joy. Therefore, I think it is now the right time to take a break from writing this blog. At least for the time being, this will be the last post for “Common Sense Leaders.” There may come a day when it is right for me to take up my pen and start sharing my thoughts again, but for now, I am stepping away. Thank you for taking time to listen to what I have shared, and I pray that you will continue to grow in your own leadership as well. “Be Excellent” is the fifth category we’re exploring in our “Be A Better Leader” series. In this series, we are looking at a variety of attributes, characteristics, and skills that are essential to effective leadership, and discussing how they are reflected in practice. In addition to this month’s topic, the list of categories also includes “Be Genuine,” “Be Relational,” Be Trustworthy,” and “Be Knowledgeable.” This month, as we look at what it means to “Be Excellent,” we will be talking about the need to be flexible, be intentional, and be competent, and then I will share some thoughts on a recommended related book or two. If you have followed this blog at all, you know that I am a pretty avid reader, so I have quite a few books on my shelves that have been beneficial to my personal, professional, spiritual, and leadership growth (and quite a few that I’ve read just because they were entertaining). That makes it a little hard to narrow down a selection here, but I going to recommend two in particular. 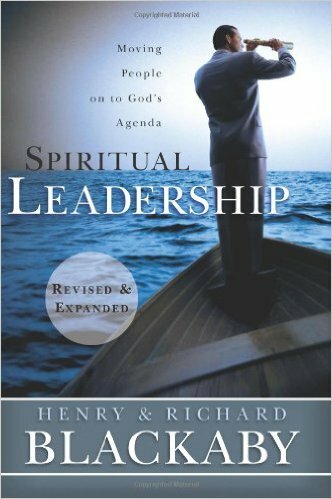 The first one is a book called Spiritual Leadership by Henry and Richard Blackaby, which I am currently reading. Because I am only partway through the book, I haven’t actually written a review, but I think that this is already rising to the top of my list of valuable books for leadership excellence within a Christian perspective. It is an excellent book on leadership, but it is written with a specific perspective of what it means to be an effective and excellent leader in any context who leads in such a way that it reflects God and draws people toward God and His plans. 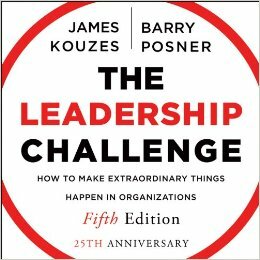 The other book I’ll recommend is The Leadership Challenge, by Kouzes and Posner. The Leadership Challenge is about how leaders mobilize others to want to get extraordinary things done in organizations. It’s about the practices leaders use to transform values into actions, visions into realities, obstacles into innovations, separateness into solidarity, and risks into rewards. It’s about leadership that creates the climate in which people turn challenging opportunities into remarkable success” (Kouzes & Posner, 2002, p. xvii). The preface of this book begins with this paragraph, summarizing the concept of leadership that it prescribes. The book was originally published a little over 25 years ago, and became an influential book that was representative of Transformational Leadership. As I described in recent post, transformational leadership can be defined as “the process whereby a person engages with others and creates a connection that raises the level of motivation and morality in both the leader and the follower” (Northouse, 2013, p. 186). Transformational leaders are people who are recognized as “change agents who are good role models, who can create and articulate a clear vision for an organization, who empower followers to meet higher standards, who act in ways that make others want to trust them, and who give meaning to organizational life” (p. 214) Kouzes and Posner, culminating in there important publication, researched and developed a model of leadership that represented these ideals. They finish their book by establishing the view that leadership can be learned, encouraging people to self-analyze and take the stops to develop effective (and moral) leadership skills. The book, with the principles described by Kouzes and Posner, is an excellent resource for leaders. The ideas are practical and understandable, and correlate strongly to biblical principles (see the bonus note below). This book is a definite must for your leadership growth and development. Bonus: A separate book, Christian Reflections on the Leadership Challenge, was published in 2006 as a faith-based companion to The Leadership Challenge. The book addresses the Five Practices of Exemplary Leadership from a Christian perspective, utilizing five men and women from the world of leadership to reflect on the role of faith in leadership as it applies to the principles of Kouzes’ and Posner’s work. Kouzes, J. M., and Posner, B. Z. (2002). The Leadership Challenge (3rd Edition). Jossey-Bass: San Francisco, CA. Northouse, P. G. (2013). Leadership: Theory and practice (6th ed.). Thousand Oaks, CA: SAGE Publications. It’s been said that the definition of insanity is doing the same thing repeatedly but expecting different results. Sometimes it seems this definition characterizes companies and organizations, because they will continue to do something even though it doesn’t work. Perhaps it is because it is tradition, or because it takes too much work to change, or even because the leadership doesn’t recognize that it doesn’t work, but they keep doing it. Motorola is great example of this. In the late 80’s and early 90’s they were a leader in the analog phone business. They were doing what worked at the time, but then something happened: digital technology was developed for cell phones, which completely changed the cell phone service industry. Analog phone technology would no longer be the technology that would drive cell phone production and use, but Motorola continued to invest in its analog technology, and as a result, ceased to be relevant in the cell phone business. They were no longer doing what worked, but continued to do it anyway. Effectiveness depends on discovering what works and doing it. Often, it is at a micro-level within an organization that people figure this out. Schein describes it like this: “The general phenomenon of adapting the formal work process to the local situation and then normalizing the new process by teaching it to newcomers has been called ‘practical drift’ and is an important characteristic of all operator subcultures. It is the basic reason why sociologists who study how work is actually done in organizations always find sufficient variations from the formally designated procedures to talk of the ‘informal organization’ and to point out that without such innovative behavior on the part of the employees, the organization might not be as effective” (2010, p. 60). In simple words, the people who are on the ground floor tend to figure out how to adjust formal process and procedure in a way that works best, and they then teach it to new employees, which helps the organization to function better. In spite of what may be the written procedures, they do what works. An effective leader pays attention to this and maintains awareness and understanding of what is working and what is not, and will then use that understanding to help shape decisions. Then, if it is working, keep doing it (as the old saying states, “if it ain’t broke, don’t fix it”). This truth was evident in the research conducted by Collins & Hansen and published in Great by Choice (2011). They defined a SMaC (Specific, Methodical, and Consistent) recipe as “a set of durable operating practices that create a replicable and consistent success formula” (p. 128), and then noted that highly successful companies “adhered to their recipes with fanatic discipline to a far greater degree than the comparisons, and . . . they carefully amended their recipes with empirical creativity and productive paranoia” (p. 131). However, they also found that these companies “changed their recipes less than their comparisons” (p. 138). Their research revealed that companies that were doing things well and were thriving tended to continue doing what was working without great change. They were not subject to changing with the wind, or panic, or the latest fad, but held to the practices that they knew worked. This has been one of my personal frustrations in the world of education. In my years as a teacher and school administrator, it seems like I have seen countless new programs and initiatives established, often to have another new one rolled out the following year. They have always been communicated as necessary for effective education, but many times it has reminded me of “stage one economics” – there appears to be an immediate short-term gain or value, but in the long term it is more detrimental than it is beneficial. But before that becomes apparent, the world of education has moved on to a new program. As leaders, we need to be intentional about doing what works (which is generally evident in the results). And we need to not be afraid of allowing the people who would know best to have input, so we need to give people a voice in the process. This does not mean we don’t periodically assess and analyze, because we do need to make sure it still works, and we can often make minor tweaks that bring improvement. But don’t change for the sake of change when what you have is working, and if what you have is not working, don’t keep doing it. Do what works. And keep doing it. In the many decisions that you make every day, there are actions you can take and words you can use that are simple (and often minor) communication and relationship practices which you as a leader can do – intentionally – that will enhance your leadership effectiveness. Be intentional. Whatever you are doing or saying, make sure it is on purpose. So if leaders are more effective when they are proactively intentional, then what does it look like in practice? It can be demonstrated by consciously asking yourself why something is done a certain way, and then thinking through or dialoguing options and ideas in order to make sure that what you are doing is for the right purpose and in the best way. It could involve making it safe for someone to make a mistake and allowing that person to fail so that he will learn and grow, and then stepping in to be a positive component of his growth process. Or perhaps choosing words that will be best understood in the organizational context and choosing to avoid words that would have a negative cultural connection in that same context (for example, in one organization in which I worked, I discovered that the word “debrief” caused much anxiety, which I could eliminate by using “review” or “talk through” instead). In the many decisions that you make every day, these and many other actions and words are simple (and often minor) communication and relationship practices that you as a leader can do – intentionally – that will enhance your leadership effectiveness.